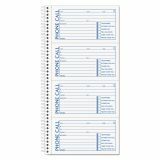 TOPS Spiralbound Message Book, 2 3/4 x 5, Two-Part Carbonless, 200/Book - Designed for smaller businesses, spiral-bound message book provides a permanent record of every call received or long-distance call made. 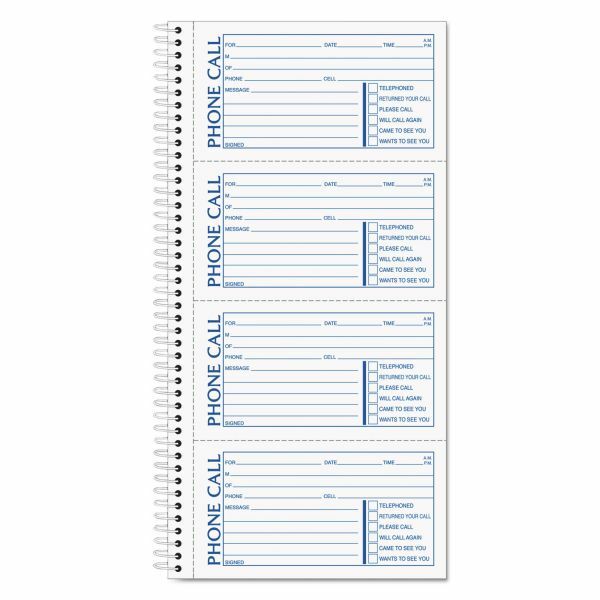 Carbonless message forms are perforated and printed in blue and red ink. 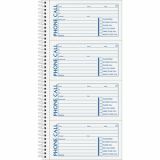 Each page has four message forms. Two-part format includes an original on white paper and a duplicate on canary paper.